Is there still a place for traditional stop-motion animation techniques now that most films jut rely on computer graphics? As long as 3D animation software takes months and months to master, of course there'll be. 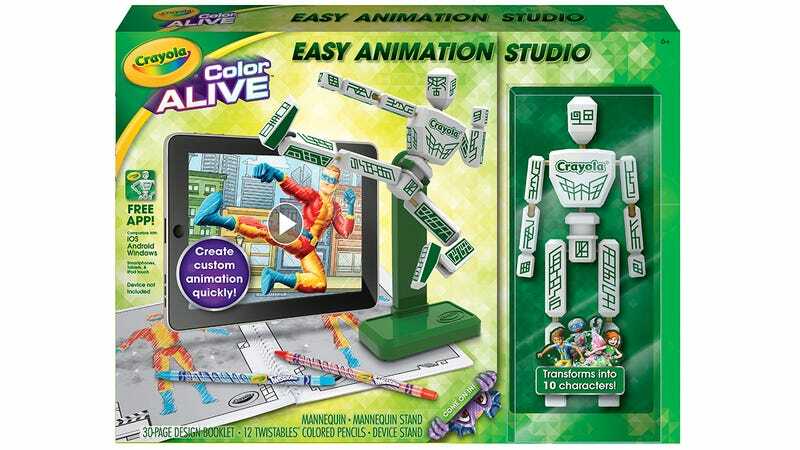 And Crayola's new Color Alive Easy Animation Studio wants to help inspire kids to be the next Ray Harryhausen. Available in July for just $25, the set comes with a coloring book and markers that lets kids design their own character and then import it into a free accompanying app using a smartphone or tablet's camera. It's the same technology used in Crayola's Color Alive coloring books, except this set goes one step further with the inclusion of a posable mannequin.